iOS 9 jailbreak has been released for a week, and the team also brought an update to fix the various errors and bugs, but still some users reported some unexpected issues occurred after using Pangu 9 jailbreak. My theory is that unclean shutdowns are, if not the cause, a contributing factor to BLoDs. I’m saying this because I’ve seen a lot of people get into BLoDs just by performing unclean shutdowns. What’s an unclean shutdown, you ask? 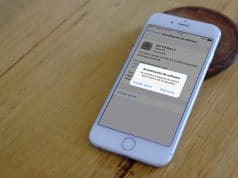 An unclean shutdown is a device shutdown that does not properly unmount the HFSJ+ filesystem on iOS — this can be holding Lock and Home to force a reboot, or even a kernel panic can cause these. Fortunately, however, we have a simple solution to fix the bootloop issue, the below is the way guides you to get rid of the bootloop of death issue and continue using your jailbroken devcie. How to Avoid “Boot loop of death”? If your device is running on iOS 9.0.x, and already been jailbroken using Pangu 9 jailbreak then avoid rebooting your device as much as possible. Respring is fine. It also means that you should not allow your device from running out of battery. If the device is running on iOS 8.4 or earlier, and already been jailbroken, then avoid upgrading to iOS 9, and jailbreaking your device using Pangu Jailbreak until the root cause of the issue hasn’t been identified and fixed. In fact, the fix is very simple that we need to restore the device to a brand new firmware, the re-jailbreak it using Pangu 9. Step 1: First of all you need to download the correct IPSW file for the iOS version you want to jailbreak. Download iOS 9.0.2 here. Step 2: Connect your device with iTunes with data cable, then put your iPhone, iPad or iPod touch in DFU mode. 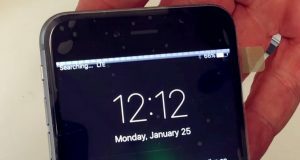 To do so connect your iOS device to computer, turn the device off and back on, and then quickly press the home button when the device is booting up. Step 3: Now restore the device using iTunes. Remember, you need to restore using the IPSW you just downloaded and not directly. To do so, press the ‘Alt’ button from the keyboard and then click on the ‘Restore iPhone’ button, and point to the IPSW file from the window. If you are using a Mac then press the ‘Option’ button. Step 4: When setting up your device enter your WiFi password and enable location services. During the process do not enable Touch ID/passcode or iCloud, as you will have to disable these during the jailbreak process anyway. Step 5: Now launch the Pangu9 tool and jailbreak your device. Once it has been jailbroken launch Cydia and upgrade to latest version of Cydia Substrate. Step 6: Finally power off your device and turn it back on using the power button. That’s it! Now your device should not be having the bootloop issue. 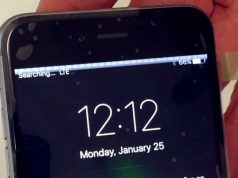 You can test this by rebooting the iPhone or iPad by pressing power and home buttons. When everything is fine, go ahead and restore your iTunes or iCloud backup.